Great work opportunity in Kuwait. 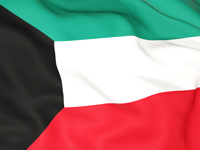 To secure your next teaching job in Kuwait please APPLY NOW==> ak@seekteachers.com Chemistry Teacher Needed for Sep 2019 start! FANTASTIC work opportunity in Kuwait. To secure your next teaching job in the UAE please APPLY NOW===>ak@seekteachers.com BIOLOGY Teacher Needed for Aug 2019 start! Secondary English teaching role in Kuwait - Send your CV to mn@seekteachers.com Send your CV and teach in August 2019! Exciting opportunity to teach Computer Science in Kuwait - Send your CV to mn@seekteachers.com ASAP! Science teacher required in Kuwait - Send your CV to mn@seekteachers.com ASAP and contact me at +44 203 455 0195.